Men's activewear. Lightweight and practical wind-breaker in polyester fabric. Minimalist design with a snug-fitting hood and two spacious hand pockets with zippers. 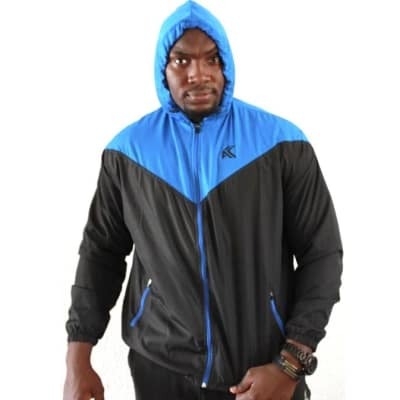 The hood and bottom edge of the jacket are easily adjustable with a drawstring.